Very pleased to be included in this beautiful anthology published in November 2015 by Phoenicia Press in Montreal, illustrated and edited by Beth Adams. 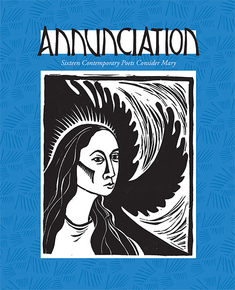 The poem Waif appears in issue 14 of Antiphon Poetry Magazine and an audio version appears on the Antiphon blog. The Smooth-Flowing, Cursive Forms of Childhood was republished in the 2014 retrospective issue of The Mind’s Eye, the humanities magazine of Massachusetts College of Liberal Arts. The poem first appeared in The Mind’s Eye in 1999. Six poems and a photograph appear in the November 2014 issue of Truck, on the theme of death and loss. Three hybrid poem/images and a brief essay on the form appeared in the anthology Splitting the Genre: An Intersection of Poetry & Visual Art from Six Arrow Press. Titles of pieces: Artists have found it useful, If you love blue velvet, and Who are you kidding? (Rotten). 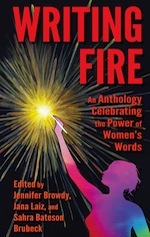 The poems, I Found I Had Neglected Thirst and Kind Thoughts appeared in Writing Fire, an anthology of women writers from the Berkshire, USA region.